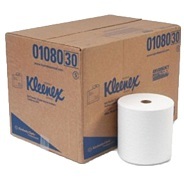 Kleenex Hard Roll Towels have Absorbency Pockets that absorb lots of water fast, for superior hand drying. 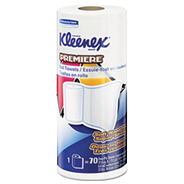 Kleenex Hard Roll Towels are designed primarily for hand-drying in washrooms when combined with the appropriate dispenser. It meets EPA standards with a minimum of 40% post consumer waste. 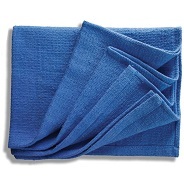 Absorbency pockets and fast-drying ridges. 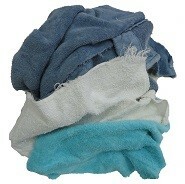 Soft premium towel with embossed pattern. 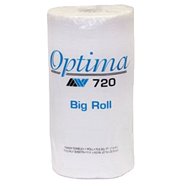 Product Features: Recycled Bleached White Paper, EPA Compliant for recycled content in paper towels, Minimum 40 Percentage post-consumer paper, 1-Ply Non-perforated Roll Towels, Soft premium towel with embossed pattern, 425 Feet per Roll, 12 Rolls per Case.